In a moment things seem to change without announcement. As I wrote in an earlier post, our normal respite family who takes our kiddos when we need child care took on other responsibilities and is no longer available to us. Last weekend we had a chance to meet a new respite family. They can only take the baby (so we will need another family for the boys). They live in Mesa, which is on the other side of the valley from us. We drove to their home last Sunday and met with them. They are a nice couple, married around the same time as us, hospitable. They told us many of their experiences within the system. Getting to hear their accounts and stories of the goods and bads of fostering (they have actually adopted one child) was an interesting re-affirmation that at the very least Cheryl and I are not taking crazy pills and living in some other reality. In addition to getting to hear their own story we also had a chance to see where the baby will sleep and eat and all of the other things. Sometimes sudden change can lead to an unexpected surprise. We will have to a chance to meet the other respite family this coming weekend. Just the other morning I woke up to the fussy sounds of the baby wanting her morning change and meal. Most mornings she is up before the boys and this morning was no different. I went into her room and she was still half sleeping. Because she was still half asleep I left her in her crib while I picked out her outfit for the day. Daycare always asks us to send her in “footsies” because of her protest to keeping on shoes and socks. That morning I chose a “onesie” and pants. I remember looking through the selection and the many messages on the front “Daddy’s Favorite”, “Mommy Loves me”, “Mommy’s Favorite” and so on and so forth, so many of the baby clothes that the many stores out there carry have person specific messages. On this this particular morning it had a picture of a whale a something about how Daddy loved her. So many things have changed in the kiddos lives since they have come to live with us. Keeping them focused on hitting their developmental stages is important to us. After court this last week we have to keep that in mind the most. It is not a competition to make the cute clothes ring true but about helping her learn to walk and getting the boys to learn to use the potty. In the meantime… we will look forward to the changes that happen suddenly and sometimes without announcement. Thanks for reading. I found myself in a local grocery store buying the blue Similac formula. Now for anyone who has had the pleasure of buying formula you know that the large Costco type containers give you the most for your money. Well I walked in with a government issued coupon for the much smaller (and therefore more expensive) cans, seven in all. This was all that I was buying so once I gathered my seven round containers I took them to a register. I chose this particular store because it has less foot traffic and it takes about three times as long to check out with one coupon (which I had two – so about six times as long). No one was in line and there were at least two other checkers open. As I approached, the checker said to one of her co-workers something like oh goodness and indicated at least a mild bit of distain for the government coupons. She began scanning the blue, round containers, continuing to talk to her co-worker about how most people with those coupons come in late at night. Finally, her co-worker had a customer which forced the checker to talk to me. A few sentences and in her mind things did not add up asking me to explain further. Once she heard me explain that I was a foster parent her stance changed from judging to gratitude. Rather interesting to me because this was not the first time I had seen a switch like that from similar workers. Also, strange to me because I was still using the government issued payment. She thanked me at least ten times in five minutes for opening my home to the kiddos. Sometimes we see the kiddos at the highest and sometimes we see them at their lowest. Lots of the interactions that we have seen that have caused friction or hassle have been with the things and people surrounding the kiddos and not themselves. Two overly caring CPS workers are on our cases right now. One in charge of the siblings and the other in charge of the “middle” child. They have judges yelling at them for not giving six hours of visits each week; parents showing and leaving early, parents no showing, parents asking for things that they do not get and all the while cannot give more than they have. Cheryl and I have promised each other that we would keep each other a focus, next the kiddos and finally everything else. The largest problem I see is so much of the demand that is placed on the workers is for the well-being of the parent unit. I am sure that in a round-about way the thought is if it is good for the parents then it is good for the children. As foster parents we have to remember that we are brought onto the scene just for the kiddos, to make their lives livable during that time in their lives. We owe our times to them, we owe our lives to them. Growing up I had a family who cared for others and was a part of the community. I Learned lots of lesson about the importance of community. I know my parents gave those to me. We go on and we learn. As a young college student I met many inspiring people and I know that if It had not been for at least five people in my life I would not have made it through college; not on the course that I did. On one occasion I was finishing up some activity and a mentor and fellow choir person pulled me aside and handed me an envelope. I opened it to find a check. The amount was not important; the enlightening message was. It was not payment for some service, it was community helping community. Her one request of me was to remember what had been given and when I saw others in need to give what I can. The enlightening message was something I had heard from my up-bringing, but in practice it sank in with this single action. I have a number of people who mean more to me than what I can say with words. Life lesson, choices, actions… they all mean something. This last week I have been reminded a lot of where we have come from and where we are. Reading some of the stories and seeing the shift in where the Baby Puzzle was and where it is now is inspiring. Cheryl and I continue to be a part of our community and give what we can. Sometimes we encounter situations where we think it will go one way, but when we are shown the full picture the direction is changed. Sometimes we see others struggling alongside of us and we have to remember to keep our focus on what we can help with. We want to be so much more, but over the past 11 and a half months when we over extended ourselves that is when we feel the most overwhelmed. Sometimes we just need that little extra that might be a lot or nothing at all to someone else. They may not know that far reaching effects it will have on our lives just as we do not know the far reaching effects our efforts will have on the kiddos’ lives. Thanks for reading… sometimes motivating words come from places we did not know they existed. Recently I found myself reading a fellow friend’s re-post on facebook about foster families and the holiday that is know as Mother’s Day. This was our very first encounter with such a holiday as foster parents. The piece talked about the difficulty that many foster children experience with this day. The article compared the struggles that the children have with holidays like Christmas because the many relationships. The kiddos are a bit too young for many of the expressed reasons from the article. Even though this is the case we chose to create our own day, Foster Mom’s Day. This is out of respect for any future troubles the kiddos may have with such a day. You might have noticed that there is no apostrophe in the title; instead of “Mother’s” it says “Mothers”. Many of know someone who may have acted like a mother in our development, in an official sense or otherwise out of need. Many of us know someone who has the characteristics of a mother, but may not yet of been called one. Many of us know someone who lived their lives completely and have passed either completely raising their children or not. For all those who would, could or should be called mother; Happy Mothers Day! Arrived at ARMS a half hour before our scheduled appointment. Cheryl has been taken back and given an IV drip. All of the pre op stuff was done and we able to be in the room together. At around 8 they asked me Togo into the main waiting room and took Cheryl back. It is now 9 and still no idea where they are at in the procedure. Cheryl was very nervous about the day. Our Doctor came into the pre op area with his hair net… Kinda funny looking. But he said the the symbols on it were Native American fertility symbols. Every little bit helps. Sitting in the front waiting room there is never any real conversation. Couples come and go and singles as well. Cheryl and I have talked about it… Kinda weird, but we have figured put that it is the culture of the office. I was expecting to be called back for my own contribution a while ago. I guess that Ido not know their time frame. Should have been something that I asked. I know Cheryl thought the procedure was only 20 minutes long. I am sure it is normal timing, just the nerves in my own head. 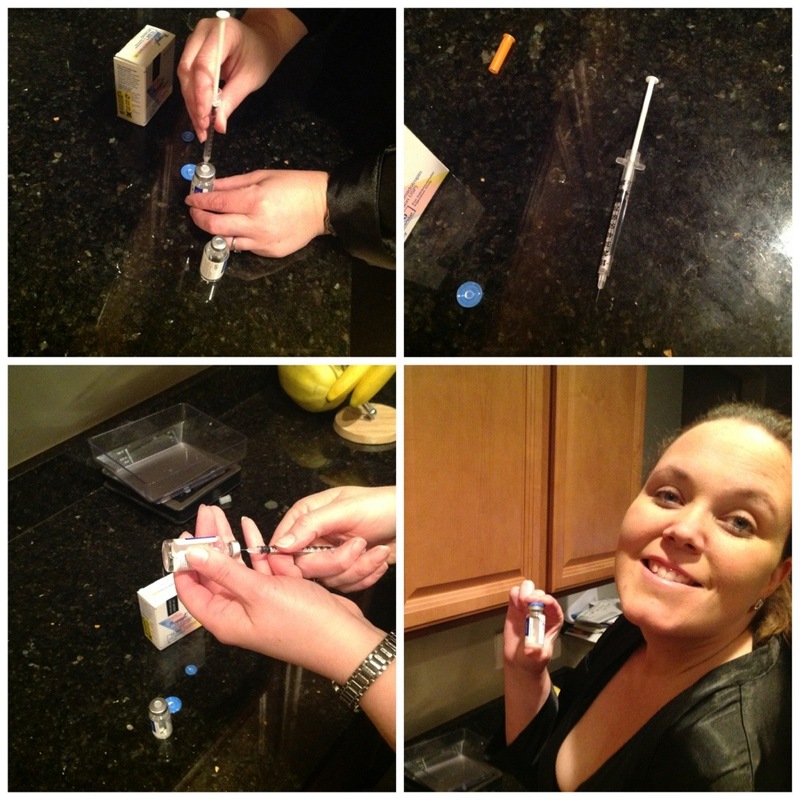 This evening at 8:15 AZ time we took our trigger shot for our IVF procedure. This come at the end of 12 days of medications which have grown Cheryl’s follicles to a viable size. On Wednesday morning we will be visiting Arizona Reproductive Medical Specialists for retrieval. If all goes well we will be returning either on Saturday or Monday for implantation. We wanted to share a quick photo of our last home treatment before Wednesday. In nature things seem to happen in a circle – a cycle. Much of that time a cycle of something is a predictable thing. We depend on natural cycles far more then we think. Something happens which causes the next thing to be triggered which leads to the next occurrence and so on until the first things happens again leading us back to start; like the start of a day or year – at some point we get to the same old thing by doing what had been done before. Our fertile cycle is no different and for most months seems to happen as regular as the sunrise or summer following spring. Last August/September this was not the case. Instead of the normal 27/28 days the we are used to… we ended up with 47 and no BFP (positive). The gynecologist that we have been seeing for the last six years at the end ”prescribed” me progesterone or really a synthetic type of progesterone. After talking with family and then a family friend who is a pharmacist we decided to seek about a ND (naturopathic doctor). With some of the things that she described we were led to our RE. I share this story because this last month instead of 27/28 days we only went through a 24 days cycle (first off month since August). No biggy right, we had already decided to take one month off before IFV treatments at the end of August. But wait… no it is a biggy because the appointment that we had scheduled for Friday (what should have been day 9) now had to be done early—and just by chance we called our RE’s office to ask about something else, almost missed our window because of a hick up in this monthly cycle. We made our way to the RE’s office after dropping into our ND’s office to schedule acupuncture for this coming Friday. We arrived to the office about 15 minutes before the appointment and I checked in sat down and wouldn’t you know it I thought “every other time I have been asked to evacuate my bladder before all of the other procedures so… up to the front desk “I am going to step into the restroom in case the doctor is early.” The receptionist responded “OK”. I went and did my business and came back out and sat waiting to go in. 5 more minutes pass and one of the nurses came out and said “do you have a full bladder?” I retorted “No, just took care of that.” Nurse, “You need a full bladder for this process, chug-a-lugg”. That’s right I hard to chug about 50 ounces of water in just about 15 minutes. Back to the appointment room 10 minutes after the appointment time and they sit me down in vitals chair to take my blood pressure and sign a waiver. 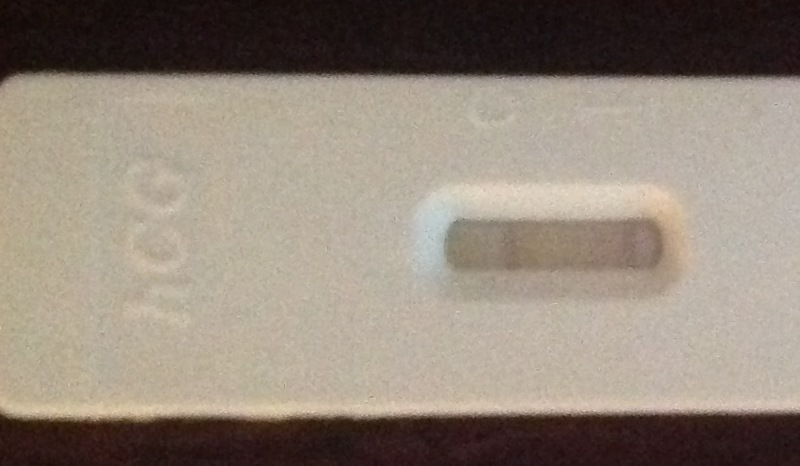 Apparently, the HSG test shows my tubes, but does not give a clear enough picture. Both tests if done on a pregnant woman would most likely lead to a miscarriage. 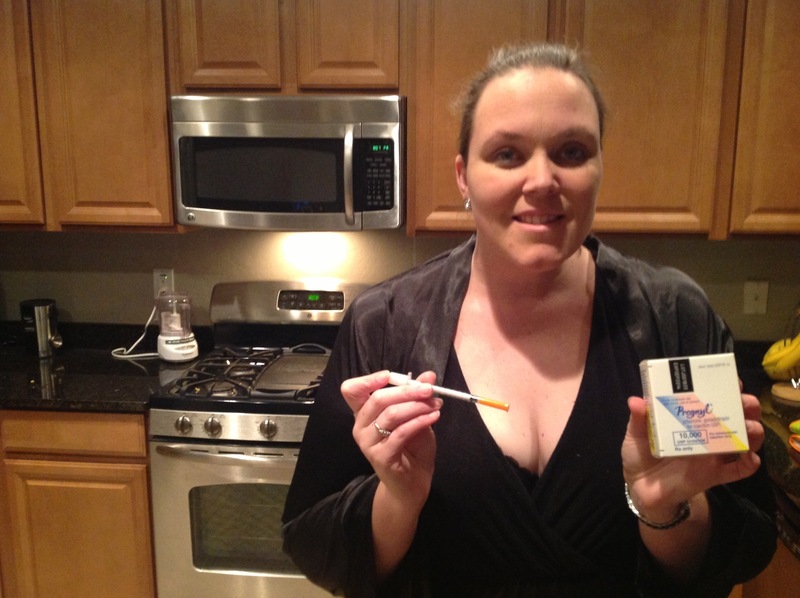 Waiver signed – obviously if we had conceived we would not be trying to again get pregnant. Once in the procedure room and after the tests that were completed the doctor begins to explain to me about the importance of having a full bladder at the time of transfer. At the start it sounded a whole lot like he had not been able to get a read or whatever he was looking for, but by the end I understood he was simply explaining the best practice to insure that the bladder is full in order to complete the transfer. On a brighter side we found out that everything looks good. It is nice to have a little good news along the way. To come in near future blogs – ND appointment Friday and RE appointment on Saturday. Also we about almost half way through this cycle which means another two and a half weeks before the starting month immediately before IVF. Thank you for your support and for reading. It has been a long while since we last posted to the Baby Puzzle. Not because there is nothing to write about but because of that cycle that we mentioned before. Those first two weeks of the cycle are exciting waiting for the IUI and the second two weeks are nerve racking waiting for a (BFP)positive or a (BFN) negative test. Well, we saw no positive serge this month and had no IUI scheduled. As hard as it is to say much of our waiting times we spend concentrating on other things. Life must really go on. However since our last blog we have encounter bits and pieces for our Baby Puzzle. One such encounter has been with generosity. People are thoughtful and helpful all sorts of avenues. Countless people we encounter tell us how they have enjoyed reading our blog. Or that they had never looked at fertility from the perspective that we have. I guess we really do not know other people’s perspective and we are happy to share this part of our lives with those around us who may not have been able to see this part of our lives. We have also seen generosity through action. We have had friends and co-workers offer up resources and advice for fertility issues. Knowing that you are not alone and that there is assistance right in your own backyard is wonderful. Additionally we have experienced generosity through motive. We have seen selfless acts from friends and family who offer support and even viable swimmers if needed. We feel very blessed for so many around us. Since the last time we wrote we have experienced some rest and relaxation with some of our old college friends and family (vacation time). It is so wonderful to see individuals and families growing another year older. So many changes happen in a single year to people and places that seem very familiar. The big take away that we have taken is how much concerted effort of our friends and family make in giving great values to their children. We know that there are so many challenges and constant care that has been given and we can only be envious of the parenting work that has been put to the test. I for one do not know how a single parent tries to achieve the task that two have to do which is why we are lucky that we want to emulate the ideas and ideals that we see in our friend babies. 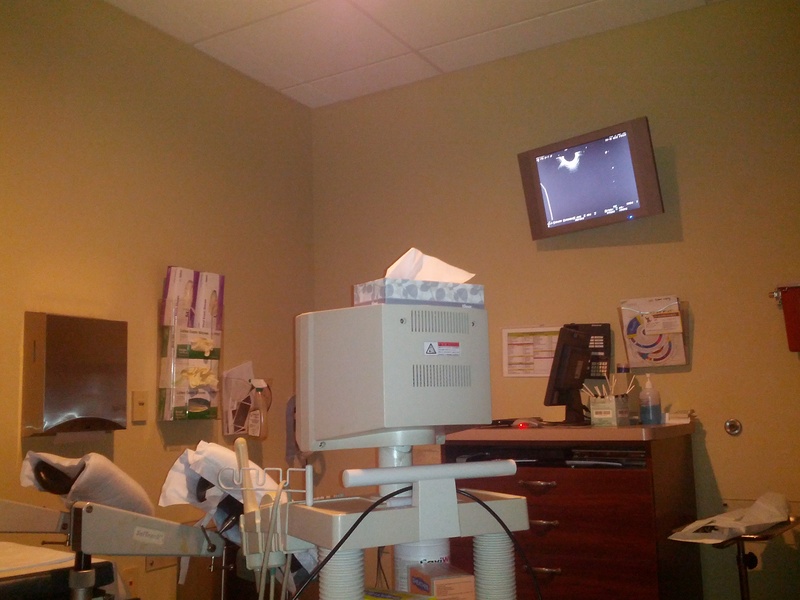 In our “Appointment” blog we had said that we were going to get to meet with our doctor and get a run down and then we wrote that we had not had a chance to meet with him, but a nurse. Persistence is the third tidbit that we have been experiencing since last writing. For any future parent going through fertility treatments it is essential to continue to be persistent and not simply take the first answer that comes along, but one that makes since and is comfortable with your needs. When our appointment was quasi-cancelled we only received an outline of what to expect, but did not have a chance to set up our next appointment. It is sad to say that the care provider does not always meet all of the needs of those who they are caring for and we have to be that squeaky wheel to insist on meeting with the doctor. Tentatively we plan on meeting with our doctor the Saturday we come back from our vacation. In coming blogs: our tour of friend babies continues and as we experience it we will be sharing our IVF appointments and experiencing. Thank you for reading. BFP, for many in the fertility/infertility world this acronym stands for “big fat positive”. Time indeed offers perspective. Did you know that those nighty-nine cent stores sell pregnancy tests? I bet more than one reader probably just laughed to themselves thinking about high school kids running to the dollar store buying a test or two. (We buy five to seven a month) Teenagers are told that they don’t want that second red line (the cheaper versions have a simple red line, not a smiley face or “+” sign). As a teenager we learn BFP… but it stands for something different “big fat problem”. As adults we have found a new acronym for “big fat problem” and that is BFN or “big fat negative”. This morning I read on my face book page a comment “…all set and there is intention in my day. What is your intention today?” No good happens without planning and this ever important idea “INTENTION”; however one cannot just have intention, one must also have perseverance. Without determination and grit the intention will get run over by the stampeding bull known as life. I too am “all set with intention in my day”, but I also know that even if I do not get what I want, what I intend that is not a reason to go off course of what I seek : our “Baby Puzzle”. The cycle of procreation does not look like that of a Hollywood movie. It is much more mundane and average, right? The cycle goes something like – aunt flow for three to five days followed by romantic times for about a week to ten days and then about two weeks of waiting. (Yeah I know if can be a whole lot more descriptive, but hey the topic of this post is the “intention” not the “action”). We were married on November 5, 2005. With some quick math we have gone through that described process about 80 times. I guess not every month has been this way but I would say we have achieved BFP about 70 times – no not the “positive” but the “problem”. As I mentioned in the last post, our RE suggested that we lose weight and that would cause use to achieve a BFP (positive) and as I said we have lost about 43% of our overall weight. What are the serious options of losing weight? Most people think “stop eating so much and exercise and it will happen”. Most overweight people know that equation makes sense, but it hardly ever works. The intention is there but the perseverance is difficult. It is not as simple as I will only eat 900 calories for a year and lose a whole bunch of weight; even our bodies sabotage that process. Through our journey (intention) we sought many different ideas like joining the gym (5 different times), different cook books, HCG diet, and even considered doing the lap ban procedure. In the end we chose a meal replacement plan which had an educational piece which has taught us healthy habits. The most interesting thing through all of this has been the medical industry its self. We have had as many as 6 different medical insurance plans tell us they would pay for us to have surgery to lose the weight, but not a cent for a meal replacement plan which taught us healthy habits. Now we have had 4 medical insurance plans tell us they will run simple diagnostics in determining infertility, but have an exclusion list for treatment which is quite the extensive and detailed list. I understand that health care is expensive and that insurance companies have a bottom line that they need to keep in the black. Even with these intentions we have in mind it has taken more than just desire and want, but requires drive a determination. On one end we had an insurance company refuse to help us be more health and the other end refuse help us conceive. They do not have to pay for all of it, but it is beyond frustrating that there is no assistance for any of it. A BFP for us would indeed be a “positive”. We live each day with intention fortified with perseverance. Tomorrow at 11am we will meet with our RE for the first time since March. Much thanks for the support that you all show. Please consider helping us complete our Baby Puzzle. The blame game, we all play it. From a young age we are taught to be inquisitive. There is a problem, how can it be fixed. School aged children will tell you about the scientific method. We make an educated guess and then test our assumptions, if the problem is fixed we think we know what the problem was and if it is not fixed we think we know what the problem wasn’t. One plus one is two; two time two is four; four into four is one and so and so forth our universe exists logically, right? I remember sitting in our oversized front room listening to a monsoon booming with lightning talking about our concerns in late July as we identified our problem – infertility – and so we started the scientific process. We knew the end result (no pregnancy) of our “problem”, but we did not know a cause. What could be wrong and how could we find out was our question so we sought out an expert resource, a gynecologist. First round of inspections and test by our perceived expert turned up no new answers. But no fear our expert suggested we seek out another expert or two. These higher leveled experts had the name of a “natural pathic” doctor and an “endocrinologist”. Time, energy and money spent with both of these super experts came up with a few general “problems” that could be “fixed”. The “ND” (natural pathic doctor) suggested that perhaps Cheryl had Polycystic Ovary Syndrome (PCOS). The R.E. (endocrinologist) suggested that our weight was the main issue and that losing 10% of our weight would do the trick. I started this blog with the idea of the “blame game”. We now had two “answers” that placed “blame” on some part us as an individual and/or couple. These “problems” became self-condemning and self-fulfilling. Neither of us pointed the finger at the other sand said “you’re the culprit, you’re the problem”. No, the biggest culprit of placing blame was not the partner but one’s self. The feeling or responsibility can eat at one’s psyche. The feeling of responsibility can make one feel alone, like they are the only person they know who has ever experienced something like this. That blame game is not ever won because to win it would be to defeat yourself. Since our initial meetings with the ND we have been shown that PCOS is indeed not our issue. It was more of a hypothesis then a tested truth. The ND wanted to give us an answer and we discovered that the answer is “no, no PCOS”. Collectively since the summer /fall of 2006 we have lost more than 340 pounds together. With pretty good certainty we have ruled out the “you weigh too much to get pregnant” theory. In January of this year we tried a new R.E. who posed a new theory that perhaps Nick’s swimmers are less than adequate. In recent months however that theory has also been proven to be less than accurate. The big take away that we have received from “the blame game” is this; be comfortable with the person or team of people who are giving you fertility advice. You are not to blame, he is not to blame, she is not to blame – the process is yours and yours alone. Having people around you that you do not feel comfortable with, confident with, caring with will not help the process it will detract from it. Because we approached the fertility issue from the beginning like it was a scientific hypothesis and not something bigger we felt we were stuck with what we had from the start. Our RE today shared a piece of information that we had never know before; a healthy couple without “problems” only have a 12% chance of conception when they are procreating at the correct time in the cycle. Even if you are doing everything at the right time it is not a “problem” it is a reality. Today, seven years later we still have no answer to the “why”. Hypothesis after hypothesis asked but no why. As we go forward to our RE appointment this Friday we have to continue to live fertility – blame free.